A woman gave birth to a baby at a makeshift tent built at the People's Hospital of Ya'an, Sichuan, Sichuan TV reported. Both the mother and the baby are in good health. The power grid of Lushan county was damaged and water supply was cut off after the quake. Tents, water and food are badly needed, Xinhua News Agency reported. No student deaths have been reported in the 7.0-magnitude earthquake in Southwest China's Sichuan province, according to the education authority. Chinese authorities have deployed more than 6,000 military and armed police soldiers and several aircraft to the area hit by a 7.0-magnitude earthquake in southwest China's Sichuan province to help with rescue and relief efforts, People's Daily reports. Lushan Middle school was used as a temporary airport after the quake, and 6 planes from Chengdu military region took off for Longmen township of Ya'an, scol.com.cn reported. Free porridge and noodles are provided outside the county gym at Lushan county of Ya'an city, Southwest China's Sichuan province, April 20, 2013. The death toll from a strong quake that struck southwest China's Sichuan province on Saturday has risen to 71, according to the China Earthquake Administration. Pan Huaiwen, director of the China Earthquake Networks Center, said the 7.0-magnitude earthquake in Ya’an is estimated to be less serious than the 8.0-magnitude earthquake in Wenchuan in 2008, and bigger quakes are not likely to occur after the main quake. Jiang Haikun, vice-director of the prediction department at the center, said the quake in Ya’an is not an aftershock of the Wenchuan quake, Xinhua News Agency reported. As of 13:00, firefighters from Sichuan province have rescued 34 people out of the debris of the quake, of whom 32 people,including a pregnant woman and two children, survived. 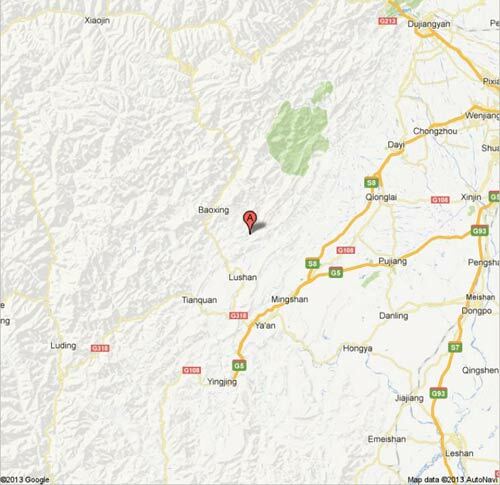 The firefighters are now on their way to Longmen, Taoping and Rongsheng, the areas severely hit by the quake. The USGS, which rates earthquakes slightly different and has 7.0 listed as a 6.6, but the table shows the aftershocks since the massive quake. Flood prevention office of Lushan county said that cracks can be seen in Modong Reservoir and Miaoxi Reservoir in Lushan county, and Shiyang Reservoir in Tianquan county. People in downstream have been evacuated. Four events of a magnitude 6.0 or greater have occurred within 200km of the latest event in the past 40 years, including the May 2008 Sichuan earthquake and a subsequent aftershock. The northwestern margin of the Sichuan Basin has previously experienced destructive earthquakes, accaccording to USGS data. The first 72 hours after the earthquake are the golden time for victims to be rescued. The surviving chances for quake victims decrease sharply as time goes by. If rescued within 30 minutes, 95 percent of the victims would survive; within 24 hours, 81 percent. 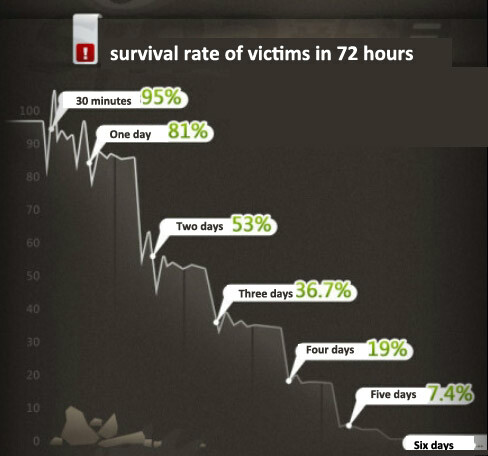 For people who are rescued in the second or third day, their survival rate would be 53% and 36.7%. The red pin marked A is the epicenter of the earthquake. Jiang Haikun from the China Earthquake Network Center said that the 7.0-magnitude earthquake in Ya’an is not an aftershock of the 8.0-magnitude earthquake in Wenchuan in 2008. The distance between Ya’an and Wenchuan is more than 60 kilometers. The energy released by the two earthquakes is highly different, said the expert. Beijing is ready to deliver relief items to quake-hit Ya'an, Sichuan province, the Beijing News reported. A total of 500 tents, food and family bags including towels, quilts, water and clothes have been sent to disaster areas, West China Metropolis Daily reported citing the Sichuan Red Cross. No railways passengers or staff were injured when the 7.0-magnitude earthquake struck Sichuan province, China Railway Corporation said in a news statement on Saturday. The injured are being ferried to Lushan People’s Hospital, according to a Chengdu Evening News reporter. Ya'an is in urgent need of blood and many residents have answered the call. Premier Li Keqiang took a flight to Ya’an at 13:15 to oversee the rescue operation which he has discussed with specialists. He said: “Rescuing people must be the first priority. We will stabilize the situation and comfort people.” He also warned there will be aftershocks. The death toll from a strong quake that struck southwest China's Sichuan province on Saturday stood at 56, according to Xinhua news agency, quoting the provincial earthquake relief headquarters. 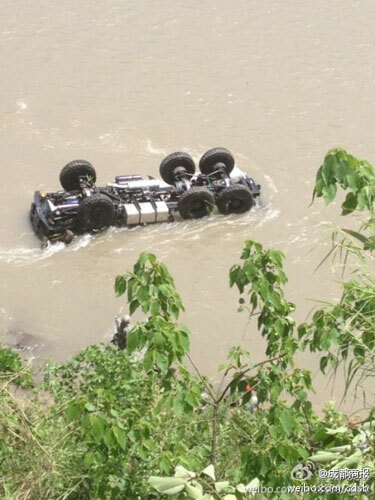 A rescue vehicle fully loaded with about 20 soldiers falls down a cliff on its way to the quake relief area, according to a Chengdu Business Daily post on Sina Weibo. There is no report of causalities. Premier Li Keqiang and a rescue team from China Earthquake Administration has set off to Ya'an in Sichuan province, according to Bai Zhenzhi, a journalist of people.com.cn. Chengdu Shuangliu International Airport resumed operation on 9:11 am, after a brief suspension of operation due to the 7.0-magnitude earthquake that hit the province earlier Saturday morning, according to a news release by Air China. A flight from Chengdu to Kunming has taken off at 9:32 am from the airport, while another flight landed at the airport at 10:36 am. By 11 am, 35 of the 44 scheduled flights with the airline have taken off. At least eight flights linking Chengdu have been canceled, according to the airline. Forty six have died in the earthquake, according to the Sichuan Emergency Management Office. The Red Cross Society of China said on its Sina Weibo that Beijing has set up a disaster relief command group and is ready to go to disaster areas. By 10:15, the death toll is 37 in the earthquake, the Sichuan provincial government said. The provincial hospital in Chengdu, capital of Sichuan province has enacted a emergency response scheme and been prepared to receive patients. The hospital has so far received two patients. The first rescue team has reached the epicenter of the quake, digging out a total of 26 people, 2 have died, CCTV news reports on Sina Weibo. Over 32 have died and over 600 are injured in the earthquake according to Party chief of Ya'an city Xu Mengjia. As of 10 am, 117 aftershocks had occurred in Ya'an, with more than 15 aftershocks being magnitudes greater than 3 on the Richter scale. There were nine earthquakes between 4.0 and 4.9 on Richter scale and one between 5 and 5.9 on Richter scale. China's International Search & Rescue Team said on its Sina Weibo that the emergency response team will take the earliest flight to the disaster areas. 28 people have been confirmed dead in the 7.0-magnitude earthquake in Southwest China's Sichuan province, chinanews.com reported. 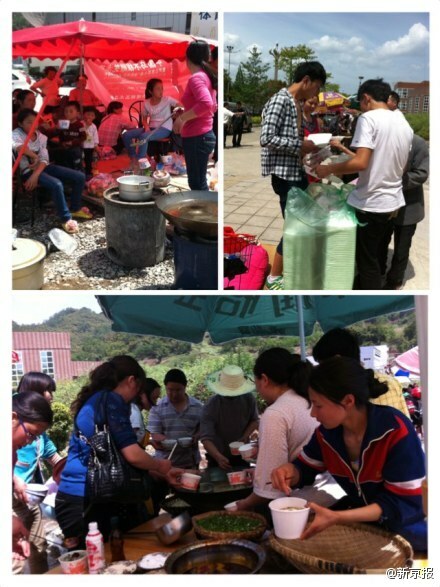 Sina Weibo user "Chengdu volunteers" said that non-professional volunteers are not suggested to go to disaster areas in the following 72 hours in order to make available of the rescue roads. One Foundation said on its Sina Weibo that its first rescue team has already arrived in the earthquake-hit area. Its other teams from Hebei, Henan, Guangxi, Beijing, Qinghai and Yunnan have been built up and prepare to set out. Sichuan Earthquake Administration said on its Sina Weibo it has sent out two rescue teams to disaster areas. The two teams include 150 team members from the Sichuan earthquake disaster emergency rescue team and 110 from the Sichuan emergency rescue team. More than 2,000 soldiers were rushing to the area hit by a 7.0-magnitude quake in Southwest China's Sichuan province for rescue and relief work, said military sources. 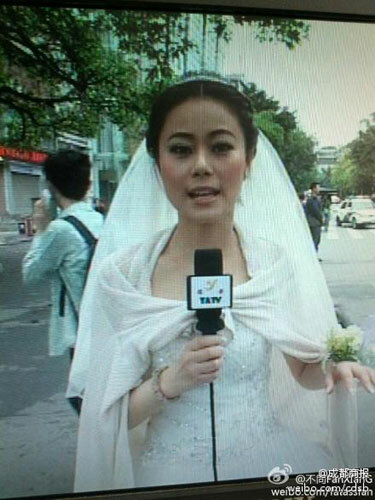 10 have died according to the latest news from People's Daily journalist Zhang Zhong. China International Search & Rescue Team said on its Sina Weibo that signals in the quake disaster areas is not available, and radio amateurs are invited to help in understanding the situation of the quake. Twenty minutes after the earthquake, the armed police in Sichuan province dispatched a rescue team of 1200 soldiers to the earth-hit area, according to Zhao Bo, journalist of Liberation Army Daily. Jet Li said on his Sina Weibo that the One Foundation has transferred relief goods and the rescue team is on the way to disaster areas after a 7.0-magnitude earthquake hit Sichuan province. Photos uploaded on Weibo by http://weibo.com/yaantch show the People's Hospital of Ya'an is filled with the injured people in the strong earthquake. Chengdu Shuangliu Airport is reopened after shut down for the earthquake. Many flights have been delayed. Passengers are advised to change trip plans. Chengdu Railway Bureau also stopped 82 trains in operation and passengers on board were evacuated. Liu Guoliang said on Tencent Weibo that I am frightened when I truly experience an earthquake for the first time, and I am not sure what will happen next. Liu is in Chengdu for the training of national table tennis team. Hundreds feared injured or dead in the 7.0-magnitude earthquake in Sichuan according to Sichuan Earthquake Administration. Two died in the 7.0-magnitude earthquake in Sichuan province according to News Center of Sichuan province. One was from Lushan county and the other from Longmen. Drivers are suggested to avoid the Chengdu-Ya'an Expressway to facilitate the rescue efforts, Chengdu Evening News reported.